Connection between colour and taste with human mental state has been since human world autocracy. There is the certain symbolism in that situation. The aim of this investigation was to find the relationship of certain chromatic colours with certain quality of tastes, but the general phenomena of synesthesia and the symbolism of Mediterranean were involved in that relationship. 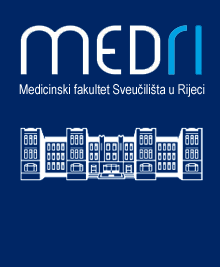 One group of schizophrenic patients from Rijeka and one group of healthy individuals from Rijeka were included in this investigation. Specific questionnaire with four chromatic colours (3 elementary: red, blue and yellow and I secondary- green) has been used in this research. There is the certain accordance between these groups relating to red and sweet i.e. blue and salty, but there is less difference due to green and certain quality of taste (schizophrenic patients preferred green and acid and healthy individuals preferred green and bitter). There is difference according to yellow and certain sense of taste : schizophrenic patients connected yellow with acid, bitter and sweet, but healthy individuals mostly connected yellow with acid. The strong connection between red and sweet i.e. blue and salty was general conclusion of this research. The connection between blue and salty could be result of consciousness of live at the Adriatic coast i.e. in Mediterranean. The advice after this investigation is: to extend this research at Middle Europe according to maybe experience of synesthesia and to avoid limitation and general conclusions.